October 18, 2011 1045 Jayapura time. Credible local stringers for West Papua Media have sent urgent messages reporting that several hundred fully armed Indonesian police and military are taking up offensive positions outside the offices of the DPRD, The Papuan People’s Provincial Assembly. 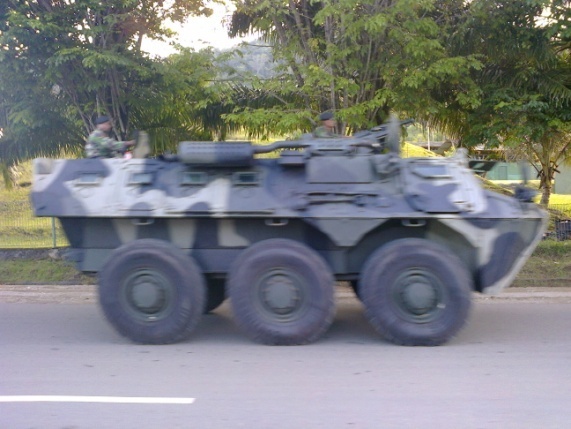 Two Indonesian Army Pansers with .50 calibre machineguns, one company of soldiers from the TNI and 1 SSK (Strategic Company – 150) of Brimob paramilitary police in full combat gear are making manoeuvres to attempt to dissolve the gathering of the Third Papuan Peoples‘ Congress, which has attracted up to 20,000 delegates from all over Papua. West Papua Media has been provided with phone numbers for the head of Police in Abepura, who is responsible for ordering his troops not to attack the Congress gathering. Please call Polsek Abe +62967581230/+62967581110 and tell them that they will be held to account for all of their actions. 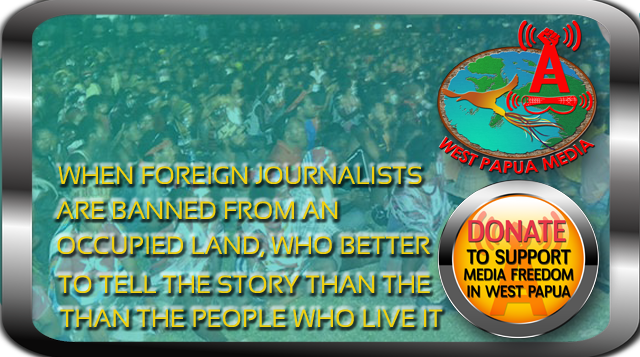 Please demand the police immediately return their troops to barracks, and take their heavy weapons off the streets; and allow West Papuan delegates to return home safely.